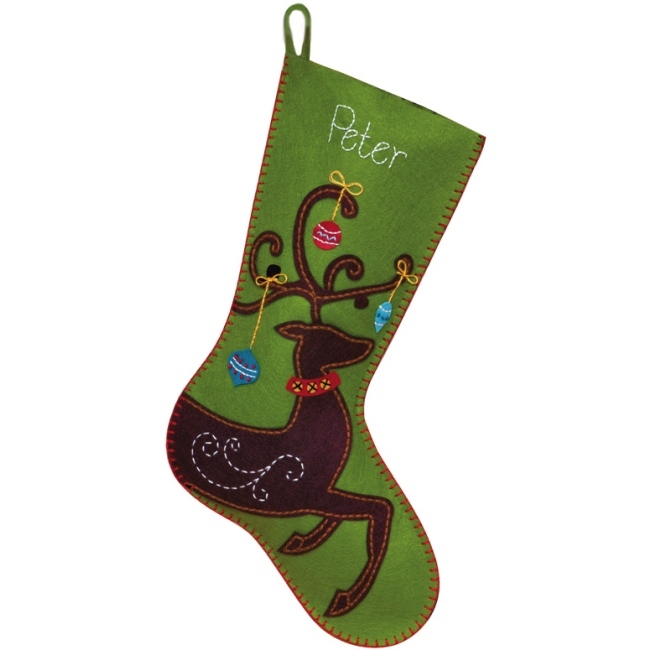 The Ornate Deer Felt Christmas Stocking Kit is an easy felt applique craft kit from Dimensions. Kit includes presorted cotton thread, die-cut polyester felt & acrylic/polyester felt, needle, and easy instructions with an alphabet for personalization. Finished stocking is approx. 19 inches long. Felt pieces are pre-punched with holes for easy embroidery & hand sewing. An ideal felt applique kit for beginners to make a creative felt Christmas stocking for the holiday season. A quick & easy felt Christmas craft for experienced stitchers too!